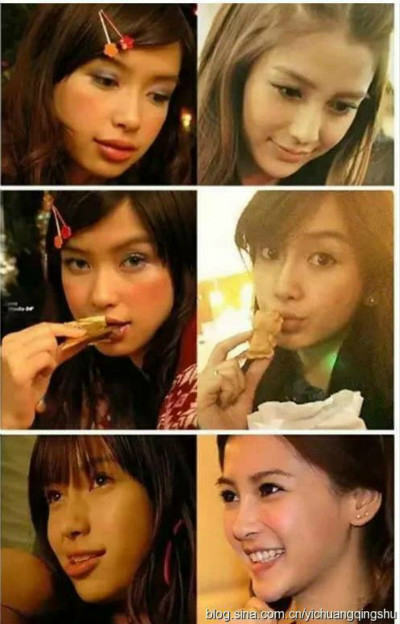 Home Forum Korean Celebrities Plastic Surgery Is it possible Angelababy changed so much without plastic surgery??? Maybe you've never heard of her, but Angelababy is very famous in China. She started as a model, and she's also an actress. I think what's most popular about her is that she's kinda regarded as the best example of what plastic surgery can do. Many girls would go to clinics with her photos and required to have her face features. There are a lot of her photos online showing how much she's changed all these years. 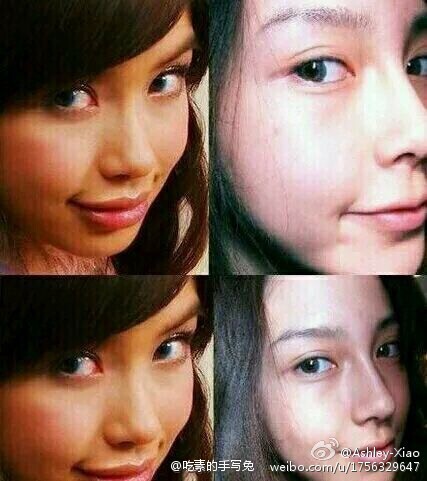 I think most people deeply believed that Angelababy had multiple plastic surgeries to become so beautiful. It's pretty hot news in China these days that Angelababy went to a clinic, and got checked by a plastic surgeon (claimed to be a very well-known plastic surgeon in China) and got CT scan to prove that she never had any plastic surgeries. Here's the video： .....kijs0.html Starting from 1'40'', it's her checkup at the clinic. The surgeon checked her ears, forehead, cheeks, jawbone, eyes, nose, and inside her mouth, and said there was no incision, and no implant.And then there's her CT scan result showing her bone is natural. 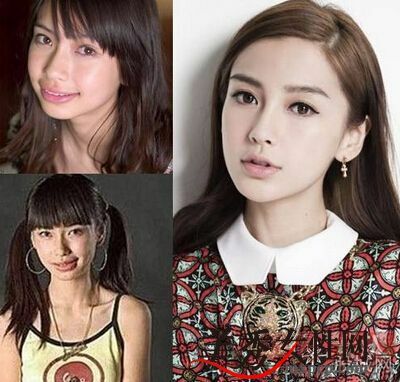 There's no sign shows Angelababy had plastic surgery. Maybe it's true that she never had plastic surgery. But looking at her photos, it's so hard to understand why her face changed so much. Here are some comparison photos of her, do you think it's possible that she changed so much without plastic surgery? How did she do that? btw, she did admit that she had Orthodontics. Is it true that Orthodontics can change the shape of face? This reminds me of Michelle Phan, the youtube makeup artist, that claims that her new look (nose, eyes, jawline) is purely due to Invisalign. @Mitchie @dnice I agree with you guys. 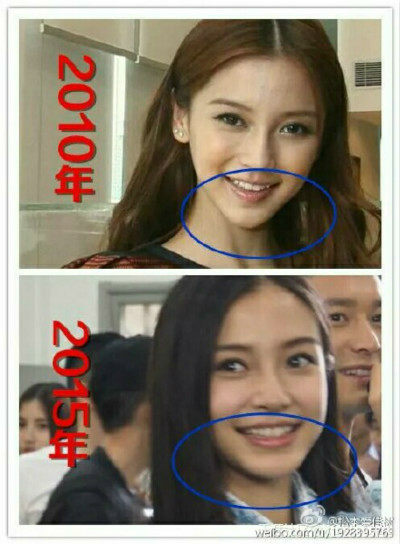 I don't think it's possible that Angelababy never had plastic surgery. I watched the video of her checkup .....kijs0.html And when the doctor checked her face, and the CT scan result, it doesn't look like she has any implants inside her face. But I think this photo might explained it. I think in the 2010 photo, her nose bridge looks higher, and her chin looks more pointer and longer. Maybe she removed the implants recently. Michelle Phan, I love her videos. Maybe she had fillers, and they dissolved over the 5 year span? That's also feasible! I think she had plastic surgery. She wasn't ugly though. She has a very cute face but for sure not the current face. Her mother's eyes got more define as she age which should not naturally occur. When we age our eyes get more fat. 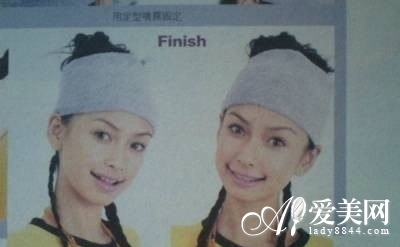 Angela baby had plastic surgery and photos clearly show it. Eyes, nose, and chin for sure. I don't care what the sworn plastic surgery say. I know from seeing her photos. Asian genes are strong and she only has 1/4 german blood clearly shows that her before plastic surgery photo is her real face. check out Singapore blogger Dawn Yang. Queen of plastic. she denies it too. But her real face was posted on the internet by many former classmates. She tried to pass as dutch and asian blood. She looks so plastic. I think Angela baby got it done much better than dawn yang. Now this Angela baby is trying to look like my 1/2 Chinese and 1/2 Austrian daughter.My daughter inherited her face shape from my mother in law, her nose between mine and my husband. I have a strong nose bridge. THen her eyes is partly mine and my husband. She has that Caucasian anatomy to her eyelids. It is not just double eyelids. There is the underlying structure. I cannot explain. Asians can have double eyelids but not that anatomy to her eye structure as she inherited it from her dad. Even her Angela childhood photos shows a oriental cute kid than this fake eurasian face of hers. Pictures just don't lie. She had plastic and nothing to o with maturity. I don't care what that doc says. Pics tells the truth. No, I thinks they all need beauty treatment to become more gorgeous.